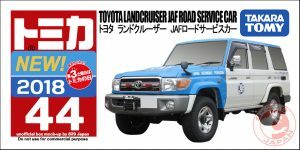 First of, big shout-out to Suzukawa Ayako who did a full coverage of the quite large Tomica/Plarail booth at the Tokyo Toy Show 2018. 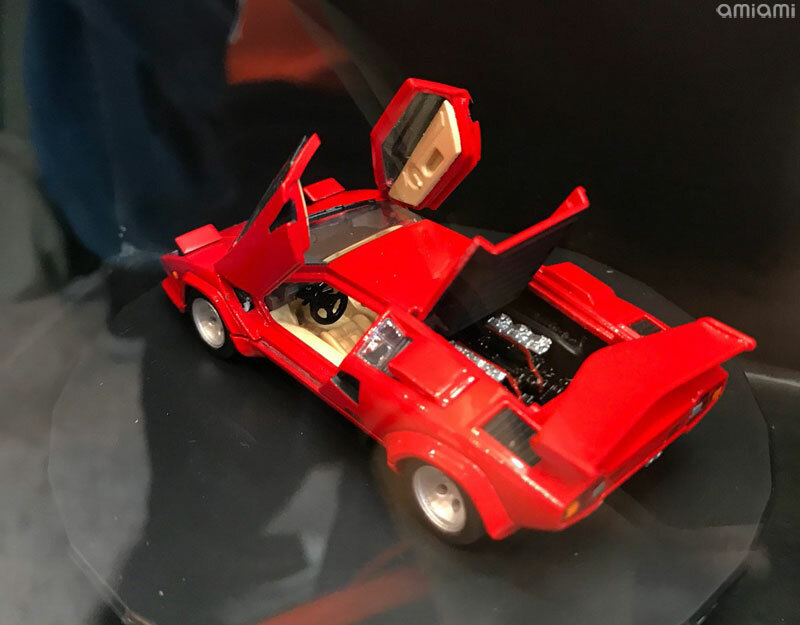 You will find timestamped links to her video below but make sure to watch the entire thing for Tomica World, Disney Tomica and more. 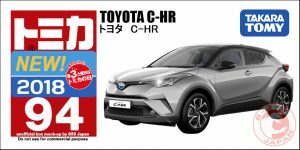 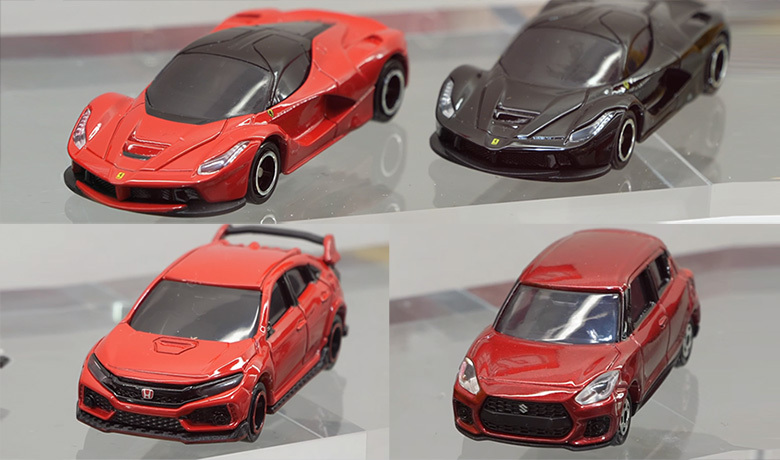 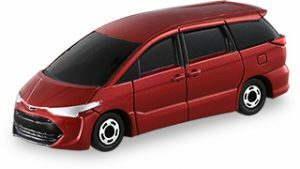 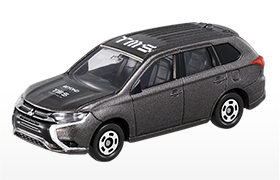 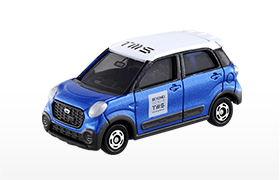 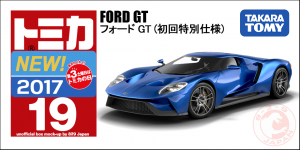 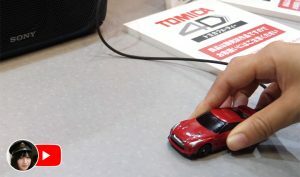 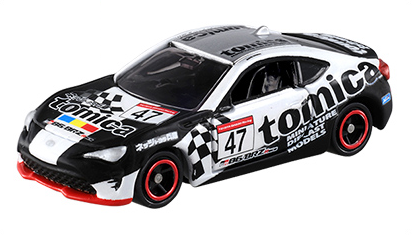 The big reveal by TakaraTomy this year is a new line of electronic Tomica cars called Tomica 4D and scheduled for October 2018. 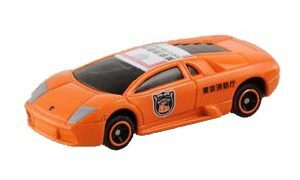 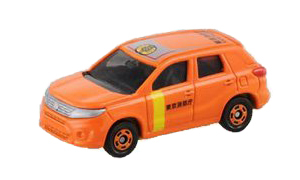 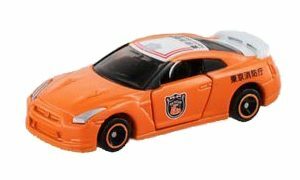 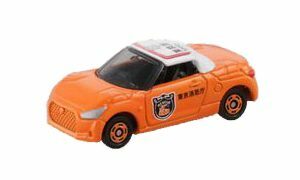 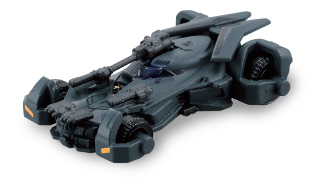 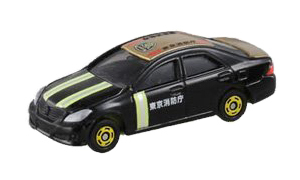 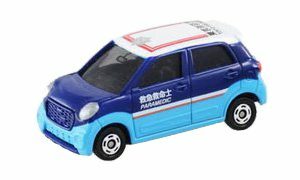 They managed to cram a speaker in a car the same size as a regular Tomica, that vibrate and emit sounds to simulate an engine. One push on the car turns it on with a power up sound, then it shifts to idling while the car gently vibrates. You can hear the “engine” revving up by pushing on the car again. 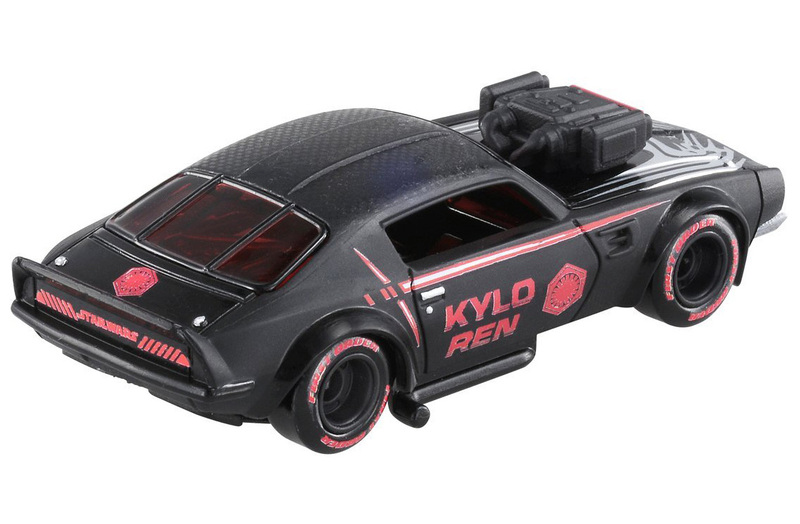 Rolling the car forward (and backward it seems) triggers an acceleration sound. 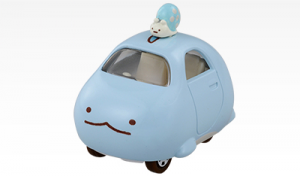 To turn it off, just long press on the car until it stops with the appropriate sound. 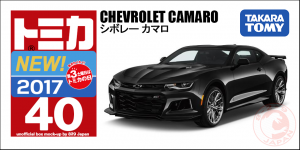 Take a look at Ayako’s video to hear it in action. Note that the prototypes used for demonstration at the show are plugged to an external speaker (because the place is noisy as hell). 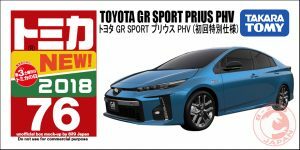 It won’t be a feature of the final products. 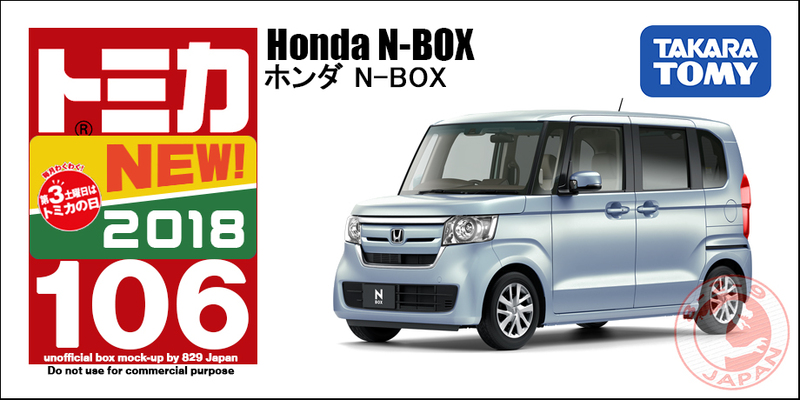 Very clever design that will certainly be a hit, despite a much higher price tag: at 1600 JPY each (plus tax) they better be tough enough to withstand a child’s careless handling, or the line won’t last long. To help differenciate the 4D from the main line, the boxes will be much bigger. 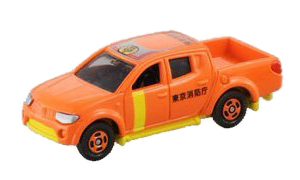 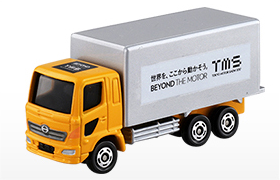 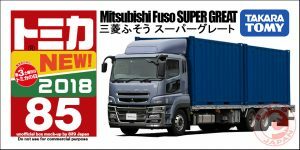 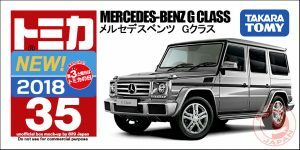 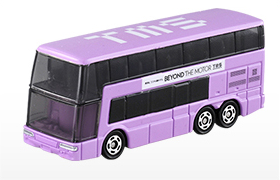 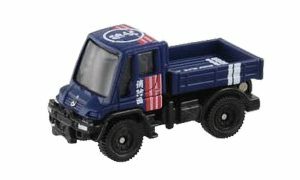 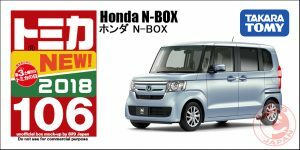 But inside will be the standard Tomica box everyone’s love. 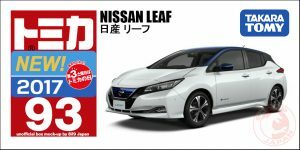 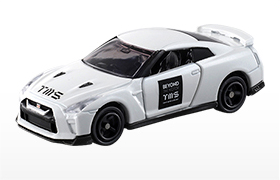 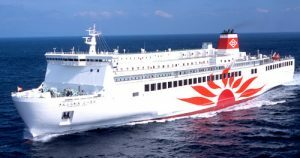 Six models will be available at launch : the Nissan GT-R (in red or black), the Honda NSX (in blue or white), the Toyota Crown Patrol Car and the Toyota Hiace Ambulance. 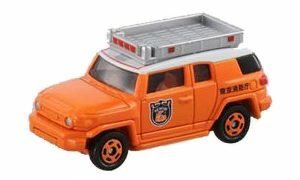 As you would expect, the emergency vehicules feature a siren sound that will certainly not drive a few parents crazy. 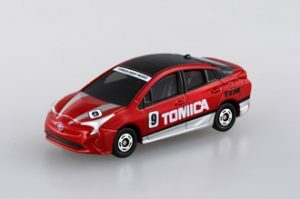 Next up, the upcoming regular Tomica made their first public appearance. 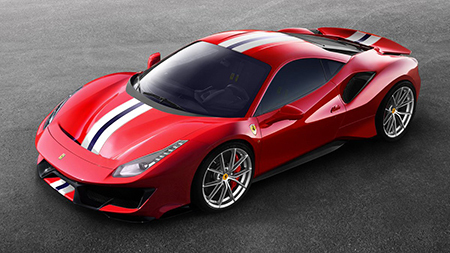 From the Civic Type R to the LaFerrari, all releases from June to August were on display. 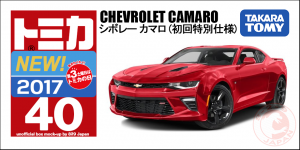 Check out Ayako’s video for close-ups. 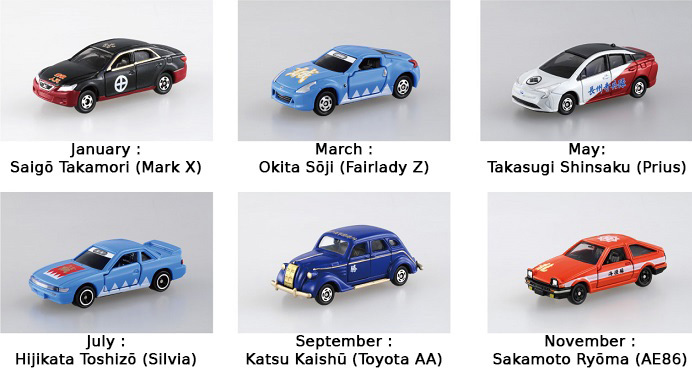 The coming Tomica Premium are of course on display too. 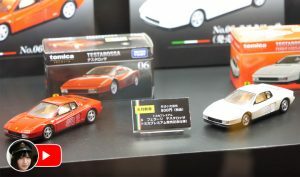 Interesting find : the first release limited color of the Testarossa will have a red box instead of the usual black. 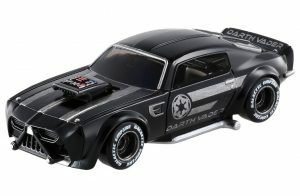 And there’s more ! 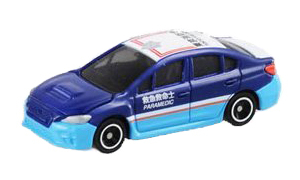 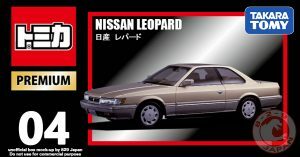 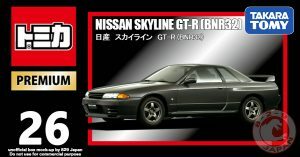 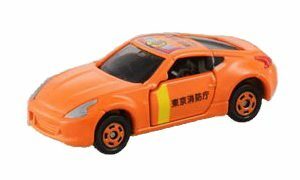 Remember the Tomica Limited S Series from early 2000’s? If you don’t, they were bigger sized Tomica (about 1/43 scale) with opening parts but lacking the attention to detail you would expect at that scale. 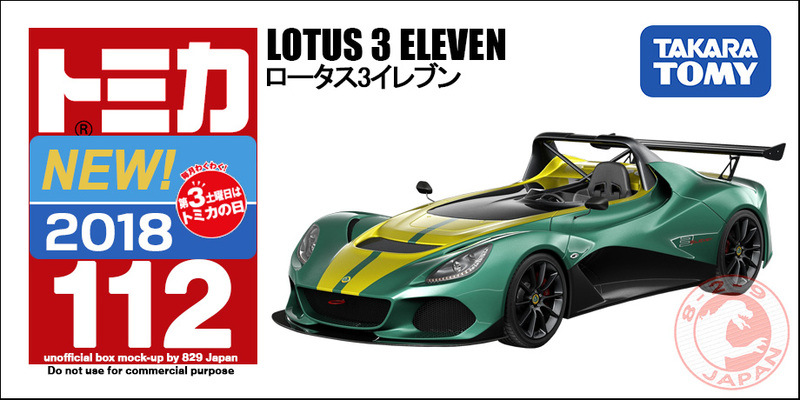 Basically they looked like enlarged Tomica, and never found their public for that reason : too expensive for kids and too much toy-looking for 1/43 scale collectors. 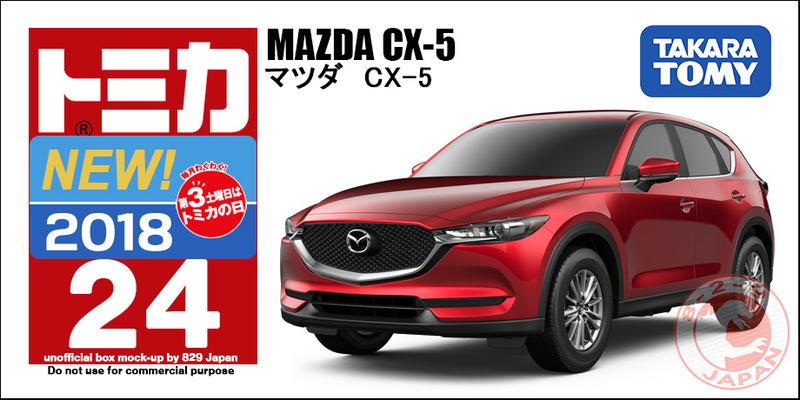 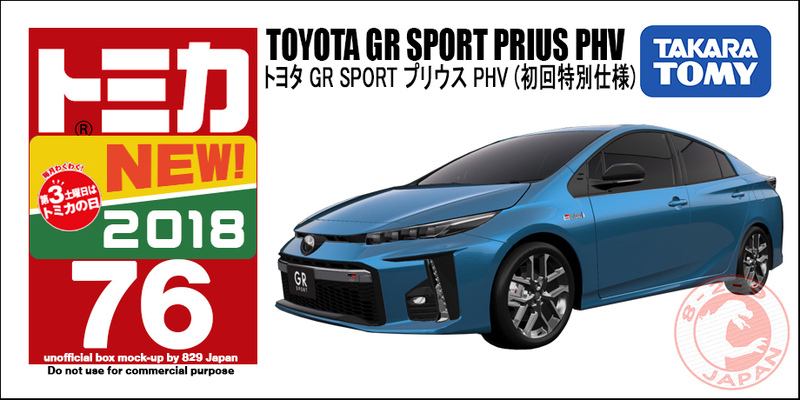 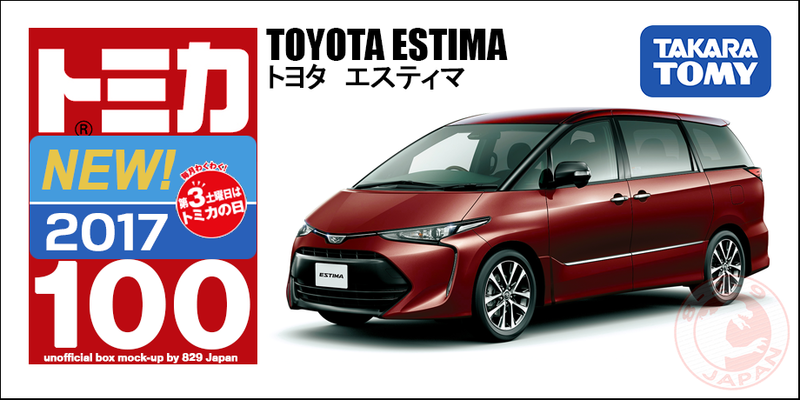 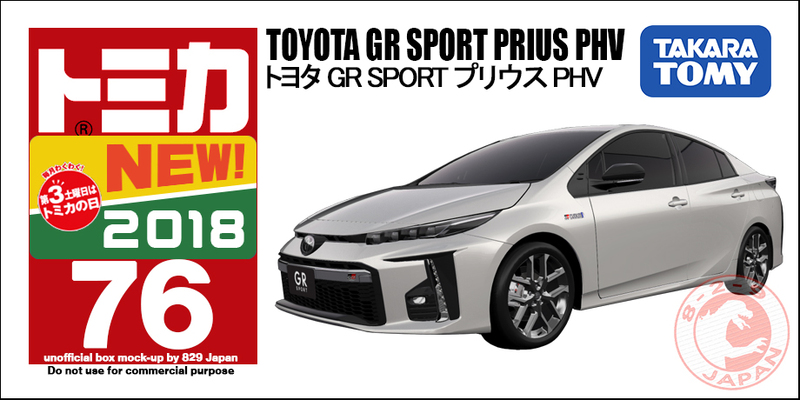 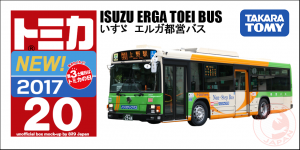 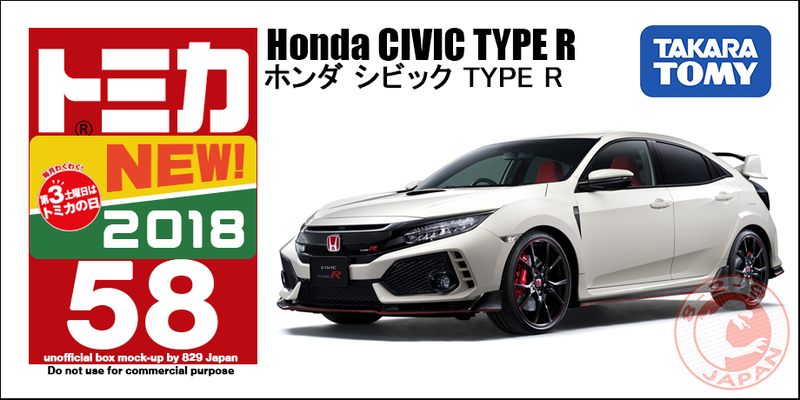 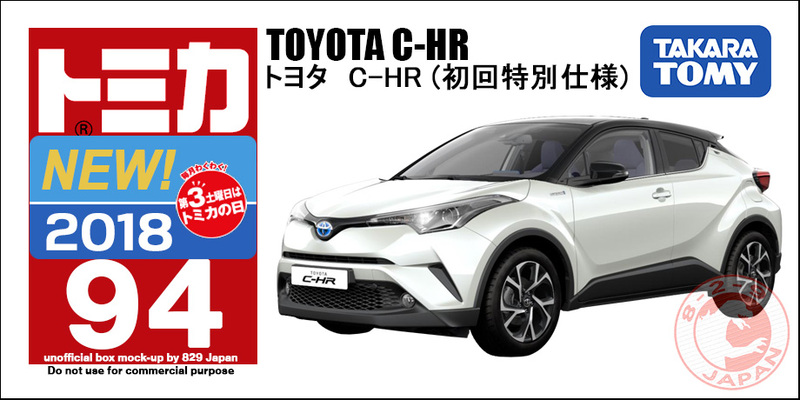 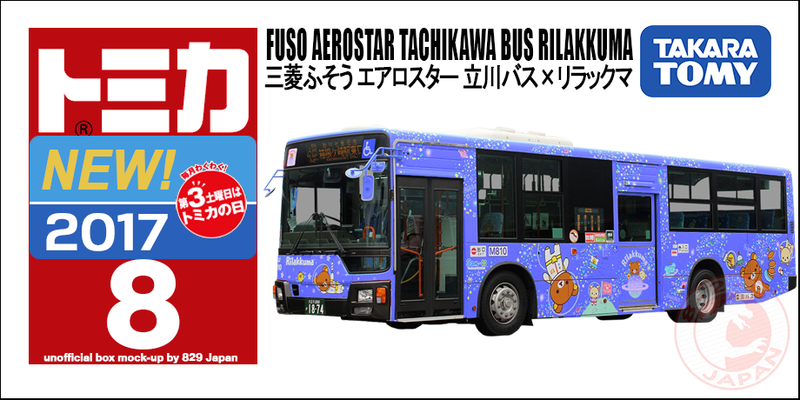 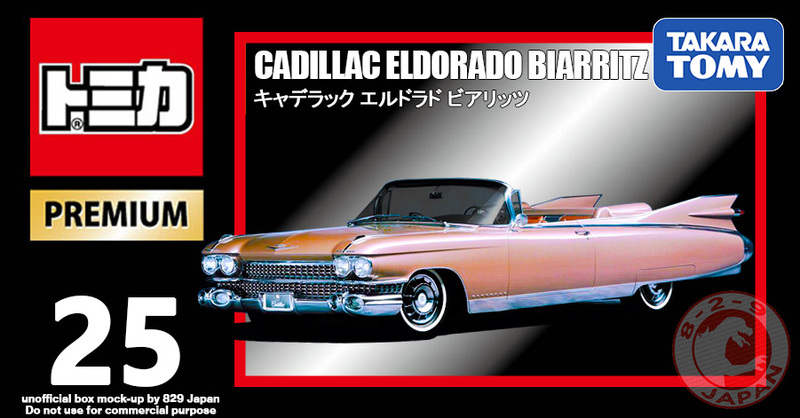 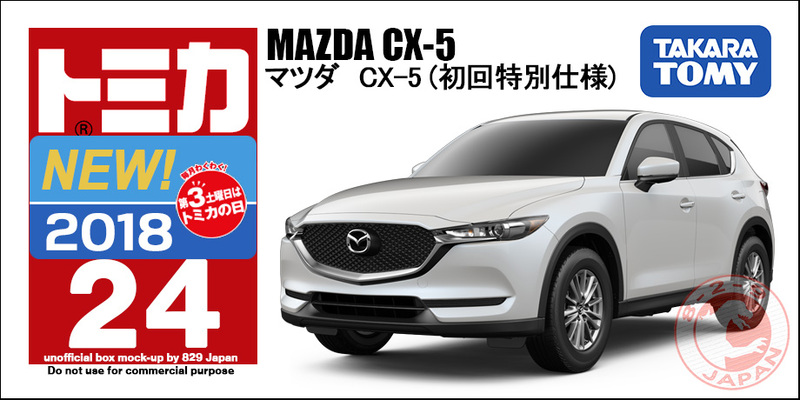 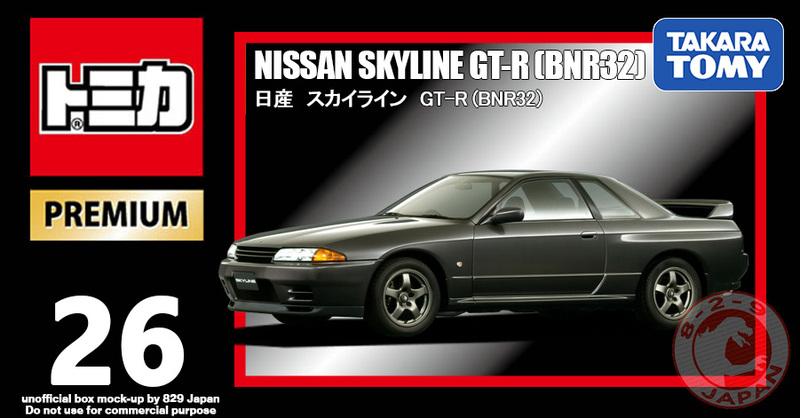 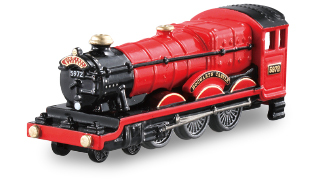 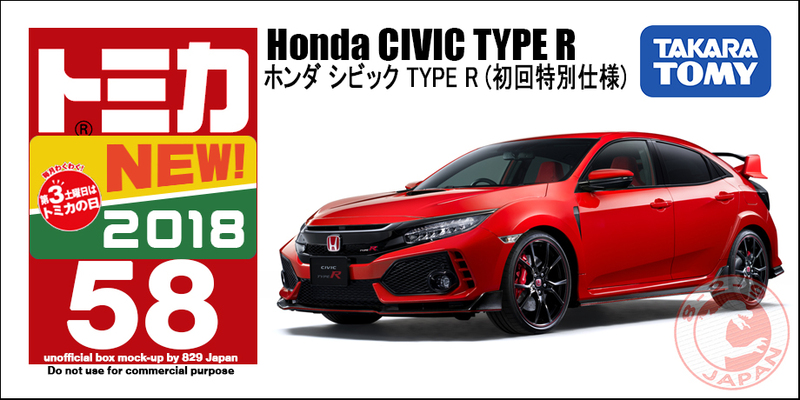 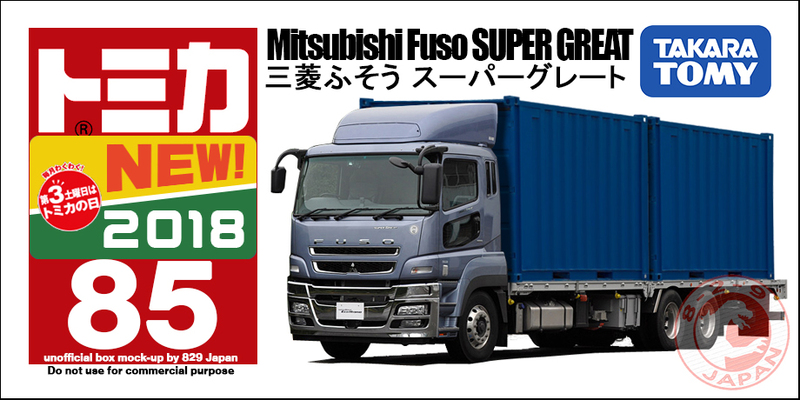 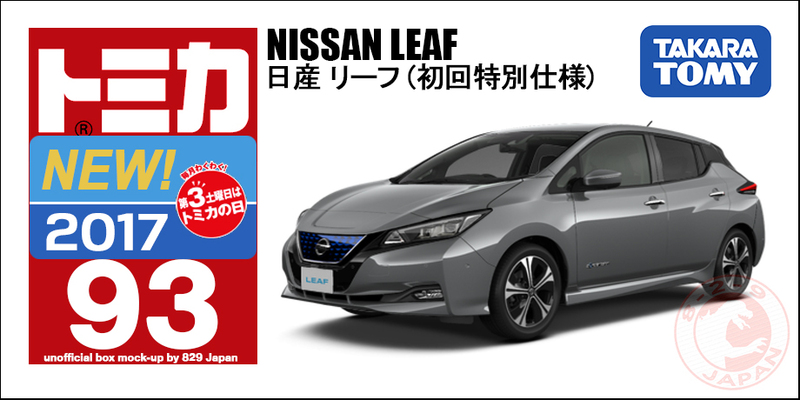 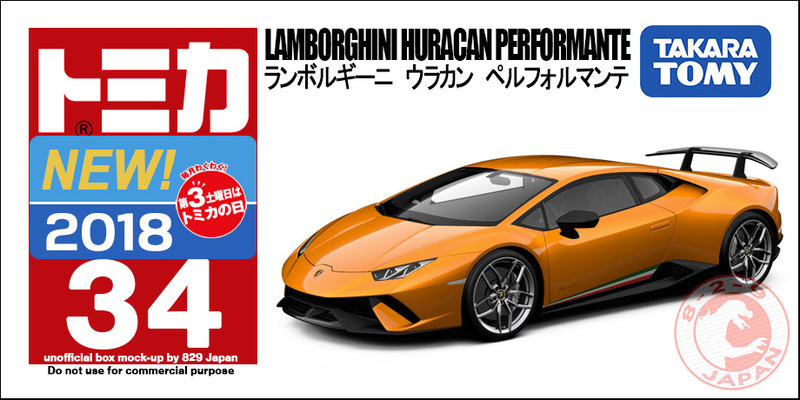 Coming later this year for 3500 JPY (plus tax). 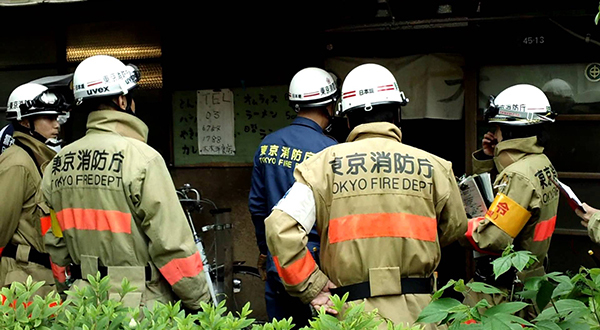 Will it thrive or burn? 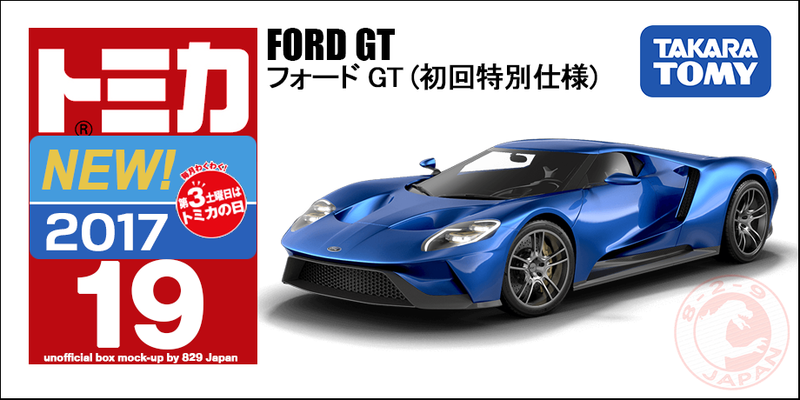 That’s it for the major Tomica news at the Tokyo Toy Show 2018. 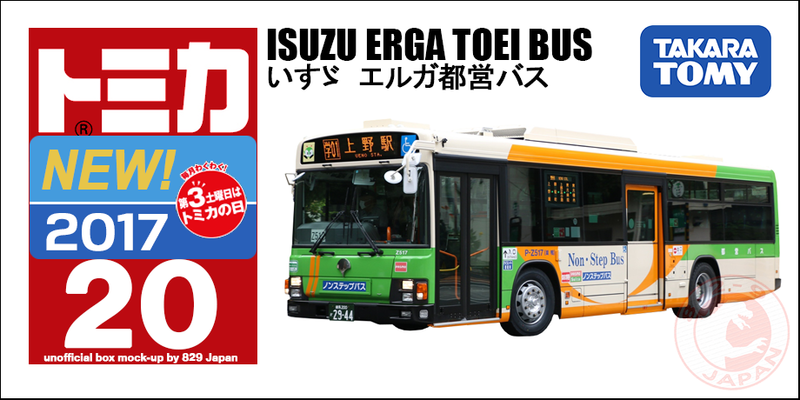 Once again, you can see more on Suzukawa Ayako’s video. 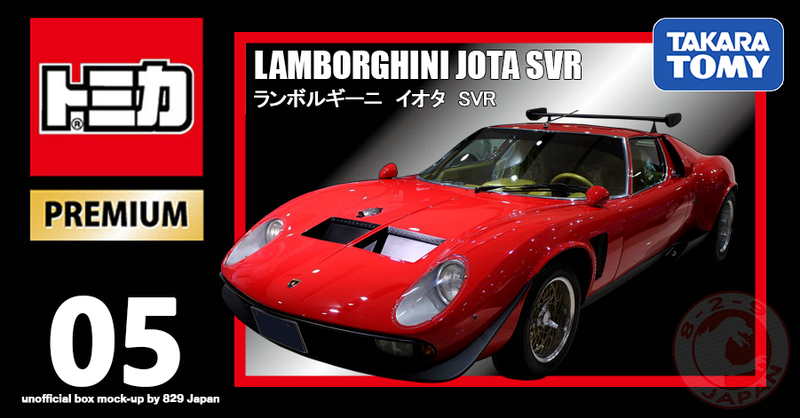 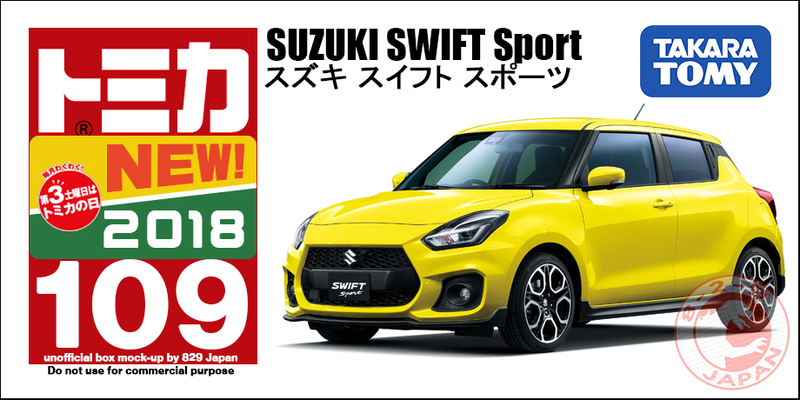 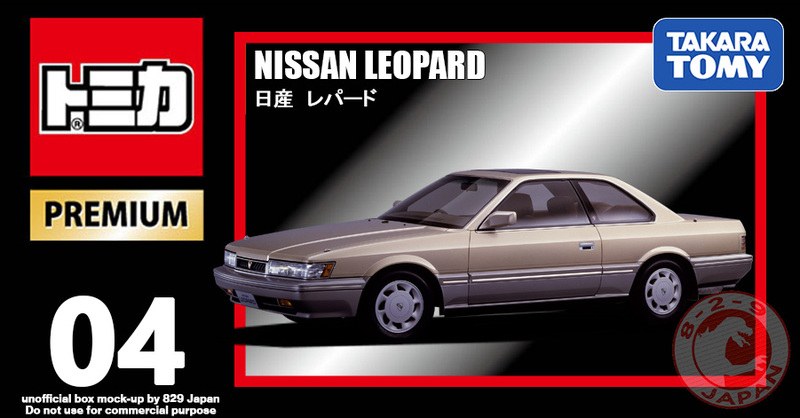 Only Japanese cars until August with… a Ferrari ?! 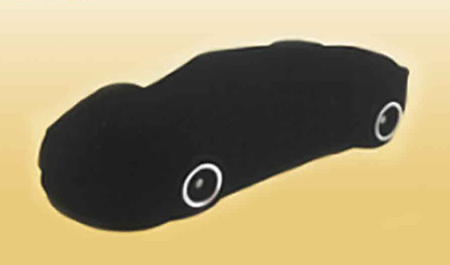 The silhouette of the new car leaked by Tomica themselves is very close to the shape of the Ferrari 488 ! 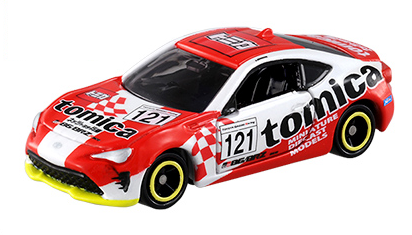 Could it be that Tomica secured the Ferrari licence? That would be a very welcome after so many years ! 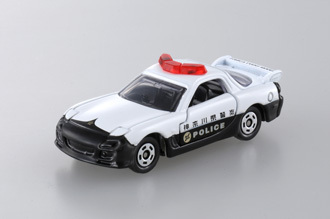 Emergency services have been heavily represented in Tomica toys for a long time especially police and fire departments, always popular with kids. 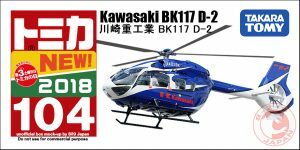 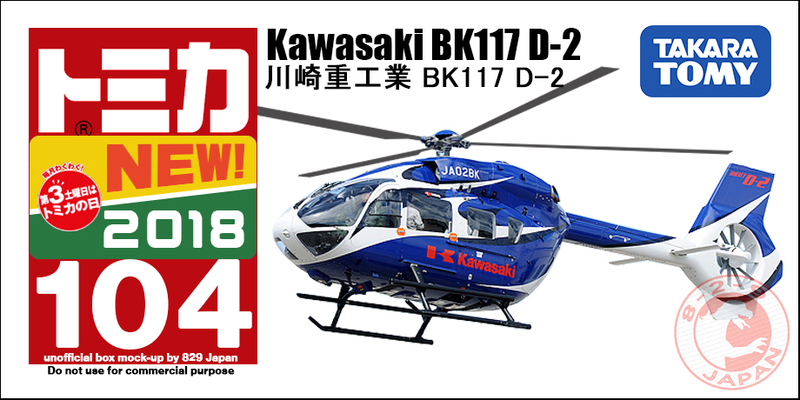 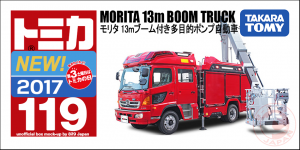 After countless classic red fire department vehicles TakaraTomy is trying something new and original with this 22nd Kuji collection. 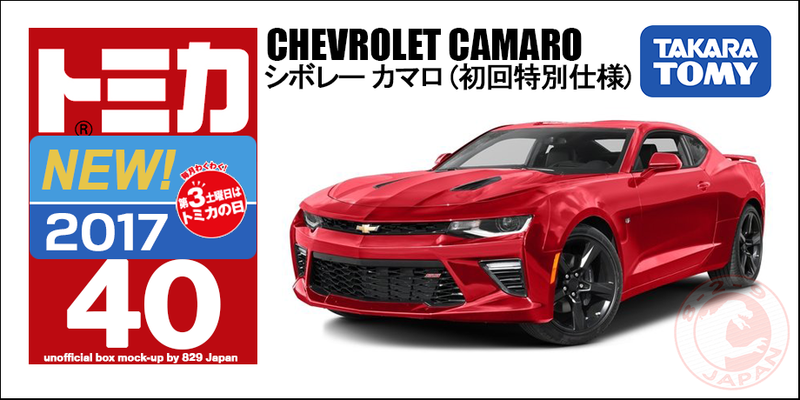 This time the cars will carry the colors of fire fighters uniforms from different groups of the Tokyo Metropolitan Fire Department. 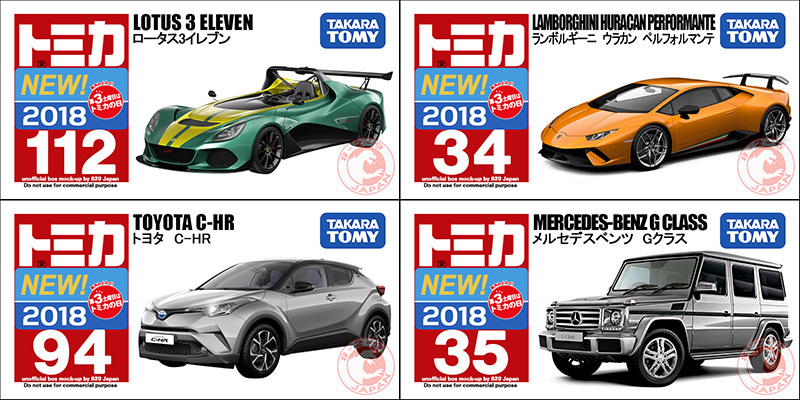 Hitachi CM Astaco; Daihatsu Copen; Toyota FJ Cruiser; Nissan GT-R; Lamborghini Murcielago. 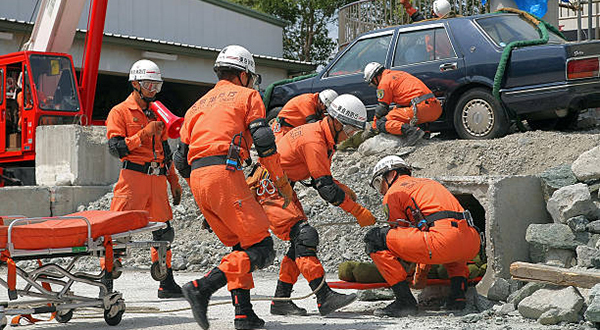 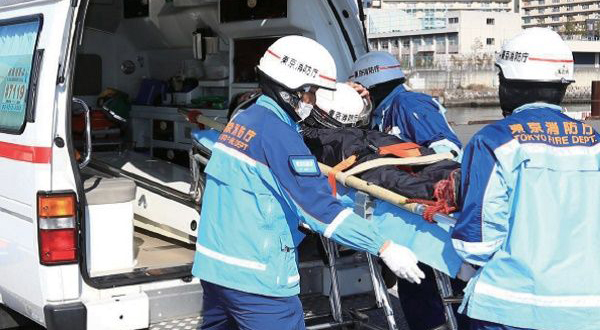 The Fire Rescue Task Force was created after the Great Hanshin-Awaji Earthquake in 1995. 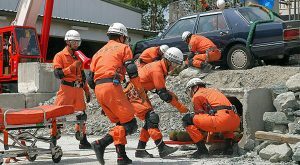 The members specialize in disaster rescue with heavy machinery and extrication equipment. 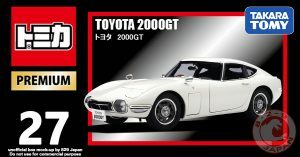 Toyota 2000GT; Lotus Exige S; Daihatsu Midget. 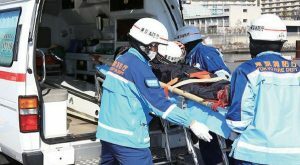 Just like you would expect from the Command Team, their role is to assess the situation and decide the best course of action. 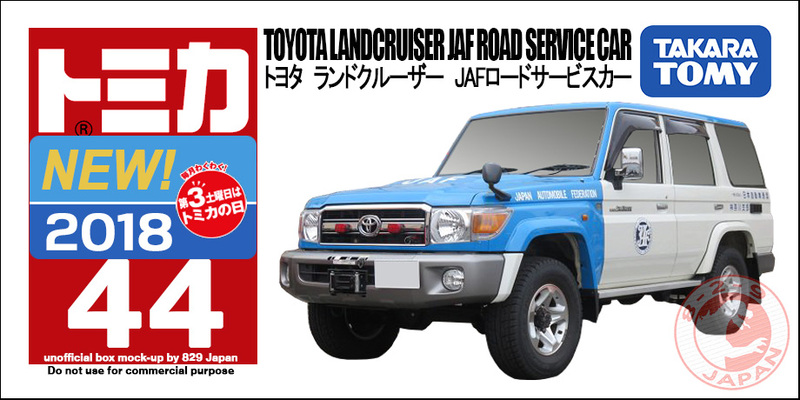 Daihatsu Cast; Jeep Wrangler; Subaru WRX S4. 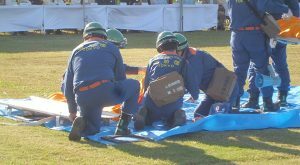 The Paramedics make sure to treat the injured on site and to organize their transport to another point of care. 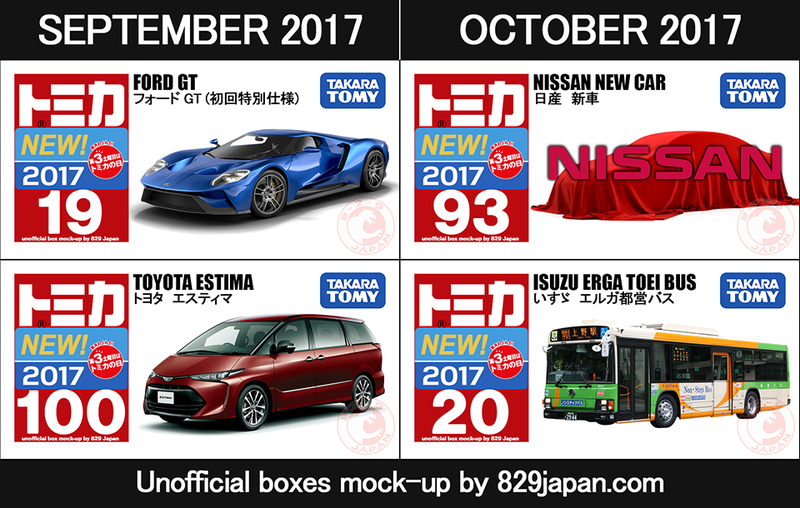 Toyota Sienta; Toyota Crown; Suzuki Hustler; UD Trucks Quon Tank Lorry. 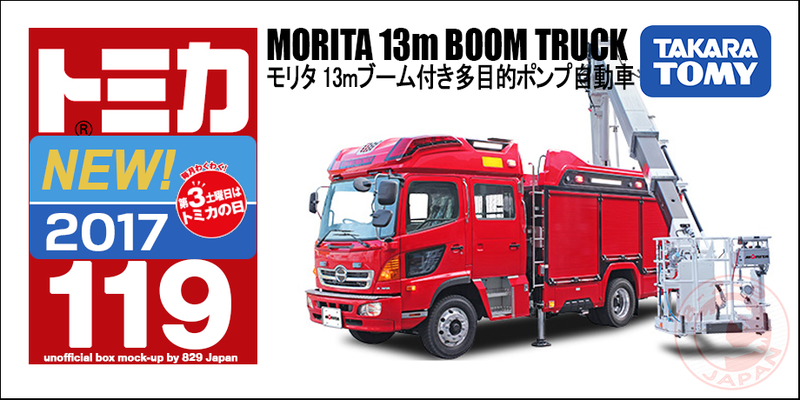 The A-one Fire unit are experts in dealing with extreme fires of highly flammable materials (oil, tires) or in confined space (subway, factories). They use top of the line equipment. 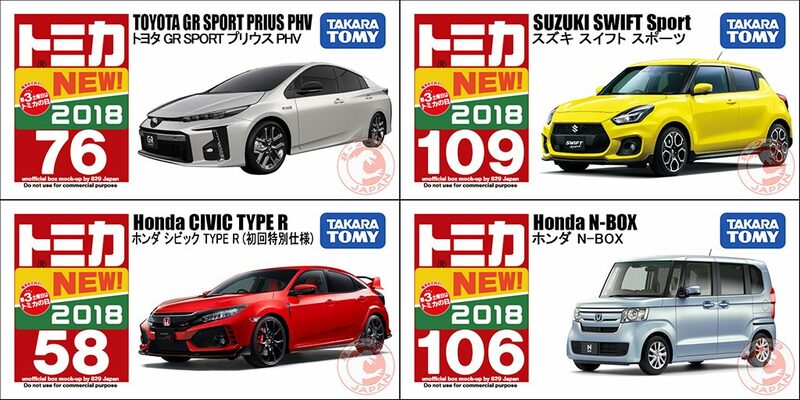 Suzuki Escudo; Nissan Fairlady Z; Mitsubishi Triton; Toyota Voxy. 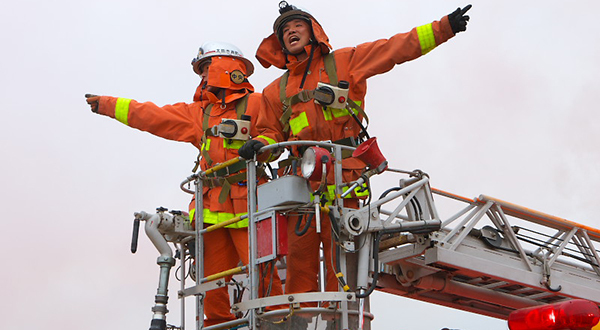 The Ladder Corps has the difficult task to reach fires in high locations such as tall buildings. Ladder trucks operators in particular need to quickly put their vehicle in the right position for the fire fighters to be able to intervene in the smallest amount of time possible. The Fire Brigades are composed of part-time fire fighters and volunteers in small or remote locations that do not have a proper Fire Department nearby. They are trained to deal with many situations such as fires, floods and rescues and have the tough task to handle major events until better equipped professionals arrive. 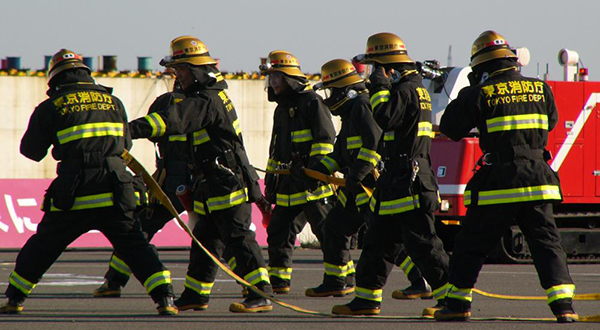 This collection is definitely a smart and fun way to teach the different roles and careers opportunities in fire departments to the young generation. And we get cool looking Tomicas on top of that ! 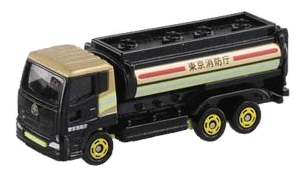 The 22nd Kuji Fire Fighters Collection will be released on March 17th in Japan. 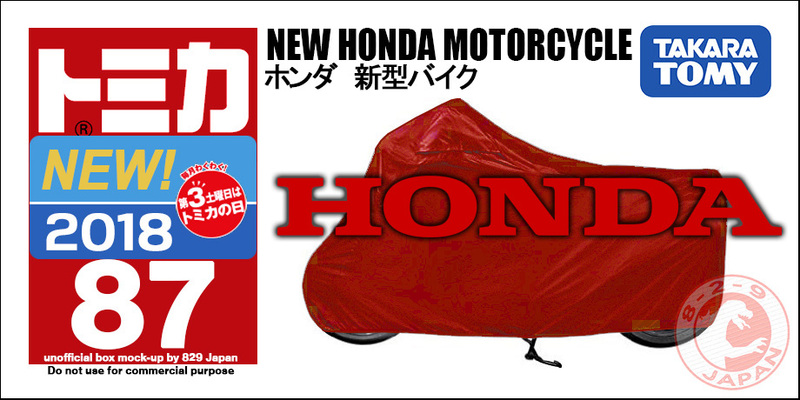 The news just dropped thanks to a leak. 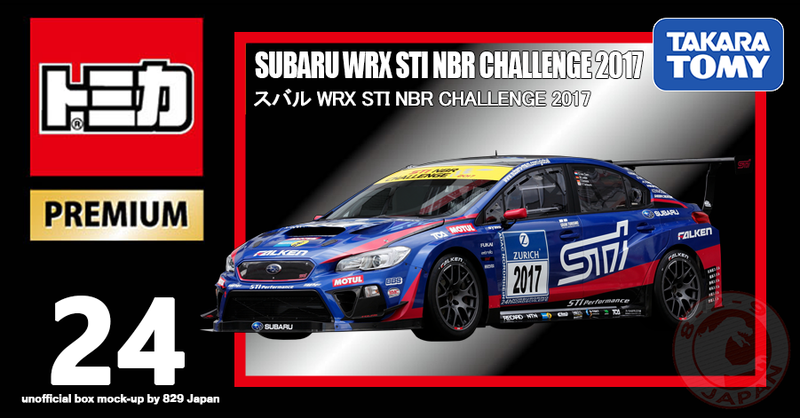 Let’s take a look at what is coming for 2018 ! 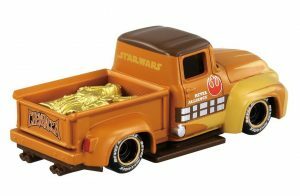 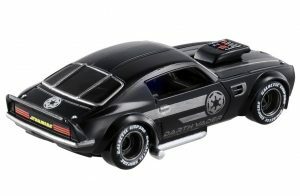 TakaraTomy recently launched a new Star Wars line. 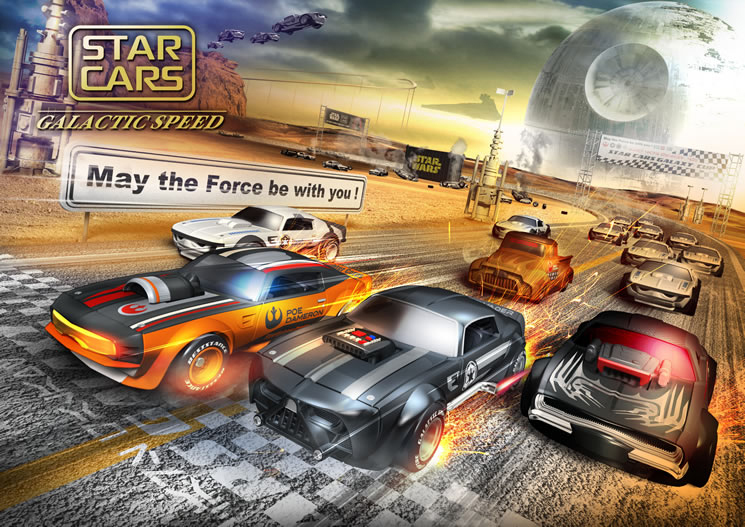 The Galactic Speed series is a reboot of the Star Cars line all about racing. The cars designs are inspired by dragsters and hotrods for furious races in a galaxy far, far away. 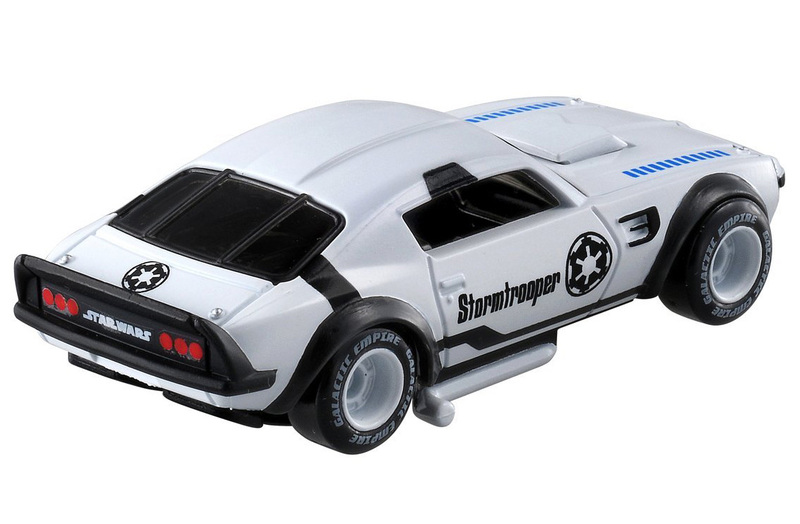 The first release features Darth Vader and the classic Stormtroopers. The V8 model seems to be inspired by the Ford Maverick drag car. Two more V8 models in the second release with Poe Dameron and Kylo Ren. 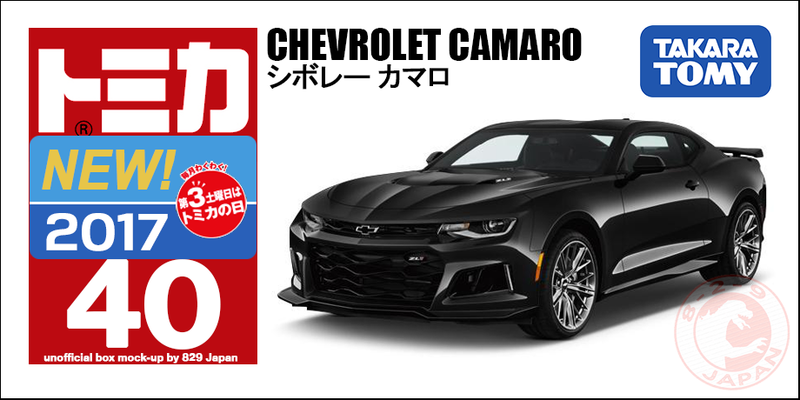 Despite the same body all the V8 cars have different front grill, intake and rear lights. The third release will introduce two new models. 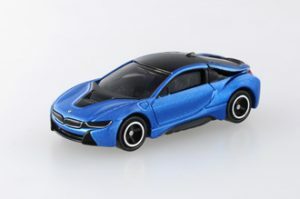 The Bub200 is clearly inspired by the BMW Isetta 300 dragster while the TR5000 looks exactly like a Ford F100 hotrod. The Chewbacca car is carrying a dismantled C3PO just like in the Empire Strikes Back ! 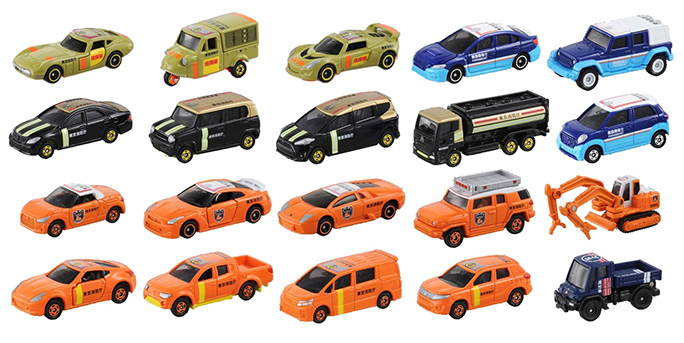 All cars appear to be part of a team. 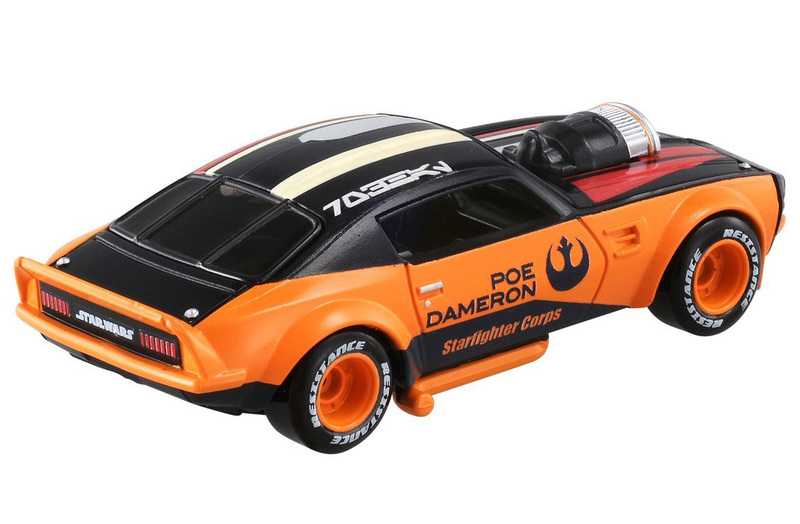 We have the Galactic Empire (Darth Vader and Stormtrooper), the Resistance (Poe Dameron), the First Order (Kylo Ren) and the Rebel Alliance (Chewbacca and Yoda). 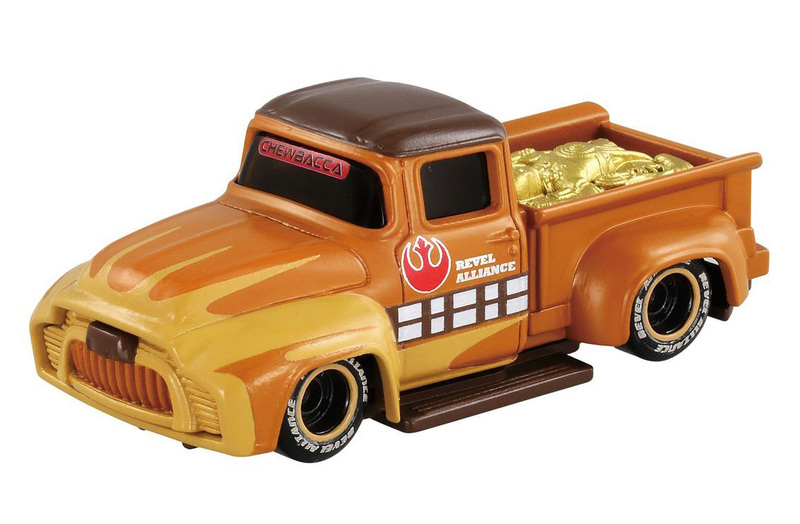 It is funny and sad at the same time that the Rebel Alliance is mispelled Revel Alliance. 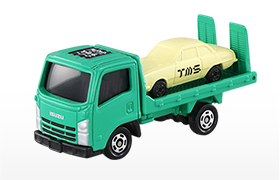 Hopefully TakaraTomy catches this and fix it before the production but to be honest it’s surprising such a typo made it all the way to promotional material without anyone noticing (especially on the Disney side who thoroughly reviews everything before giving any approval). 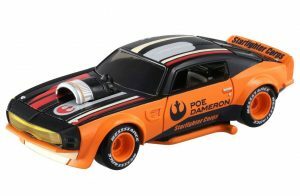 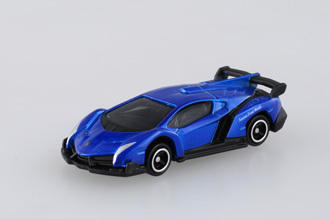 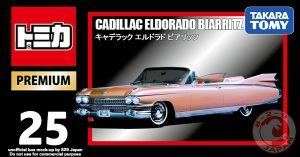 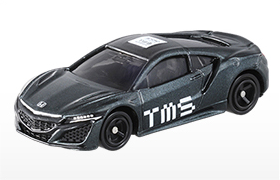 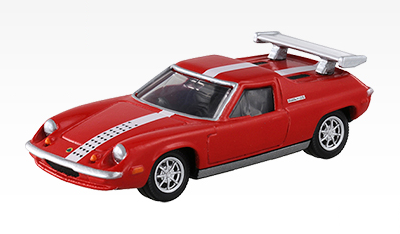 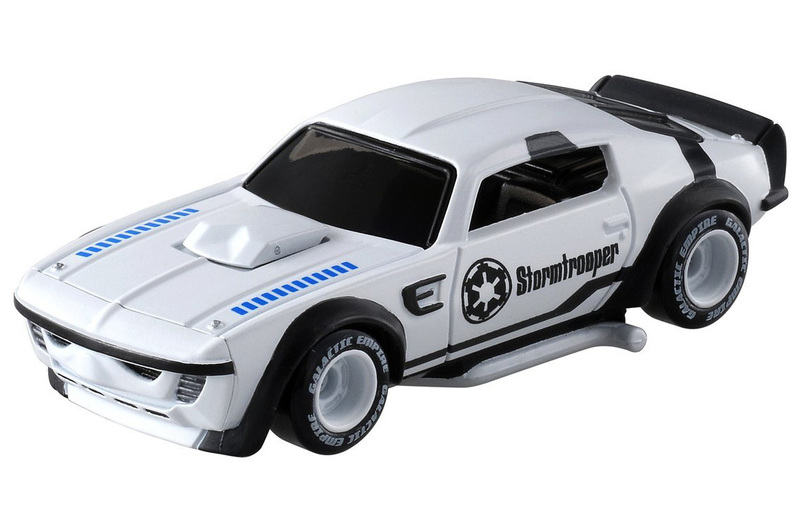 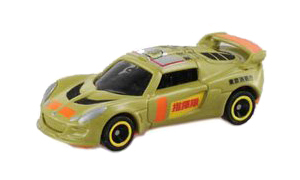 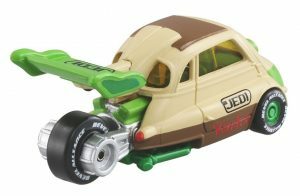 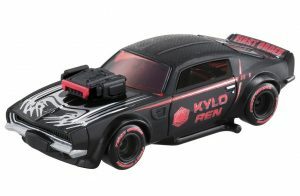 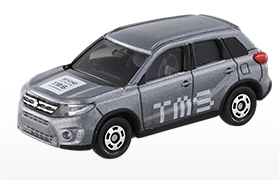 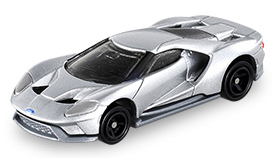 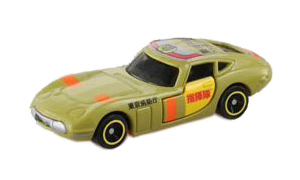 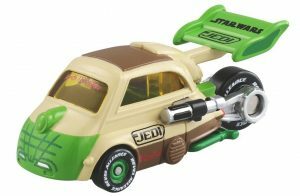 This Galactic Speed line is a surprising and fresh take on the Star Wars licence by TakaraTomy, and will probably prove very popular in Japan with this ‘exotic car’ yet recognizable look. 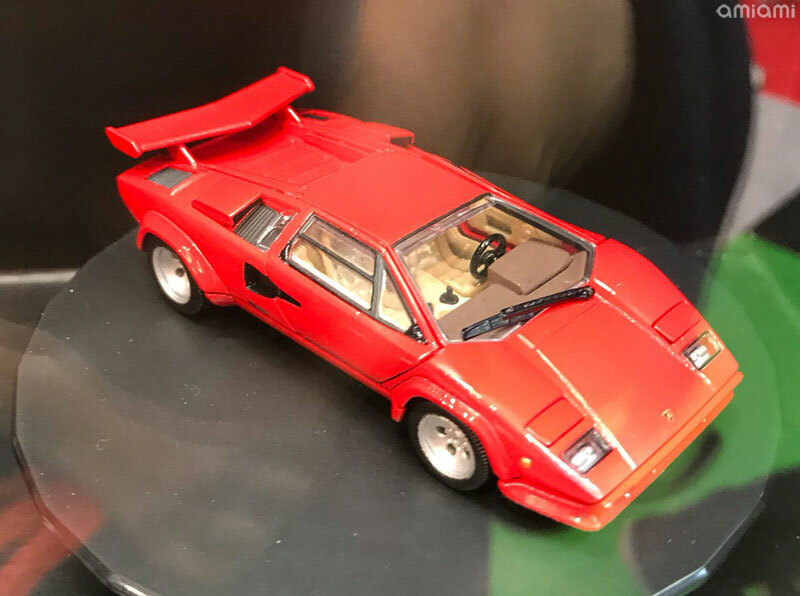 More models and characters will follow for Christmas and all 2018. 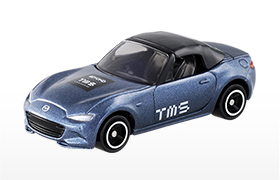 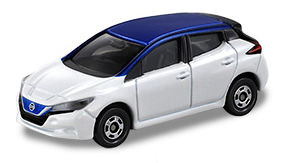 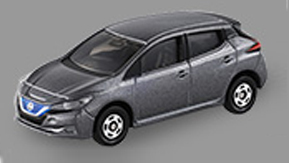 It’s been two years since the last Tokyo Motor Show and all those exclusive Tomica models. 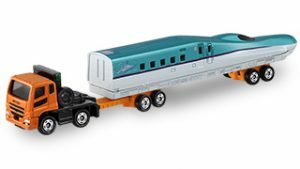 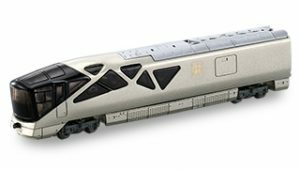 For 2017 TakaraTomy will bring even more to the show. 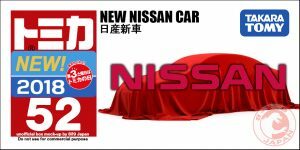 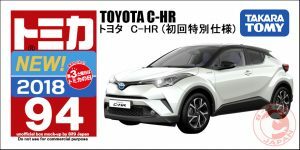 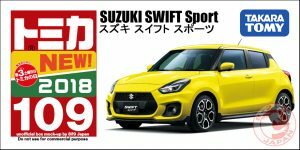 On top of the 12 special edition cars collection, there will be two Netz Hyogo Toyota 86 similar to the version sold at the Auto Salon. 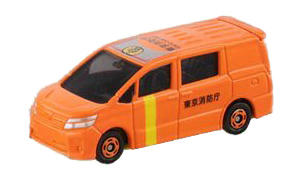 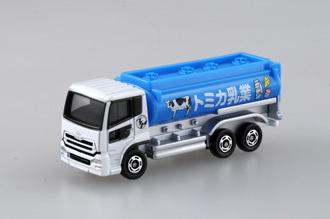 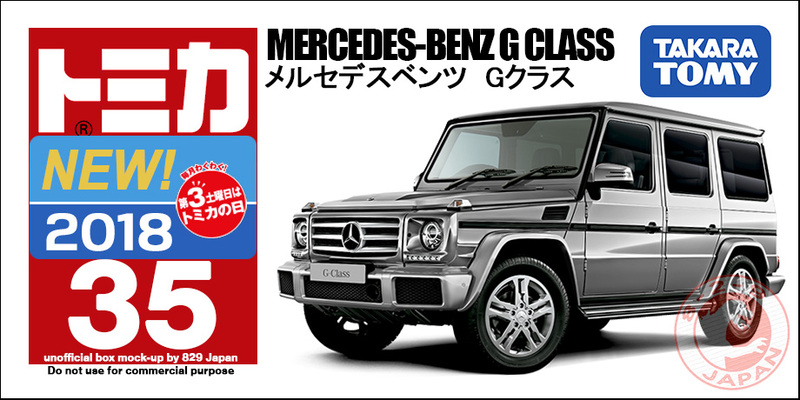 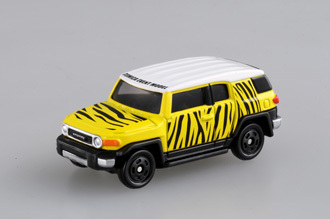 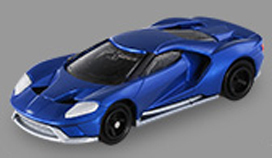 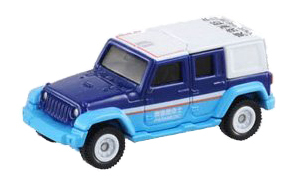 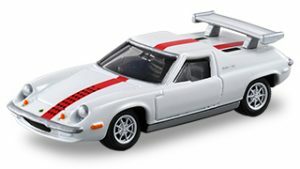 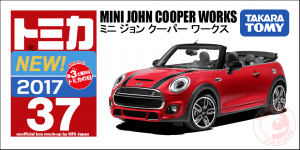 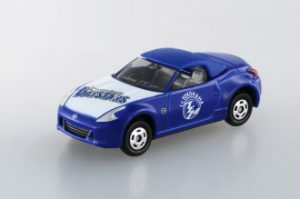 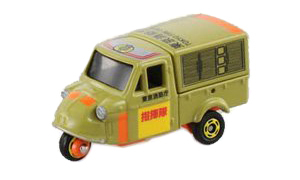 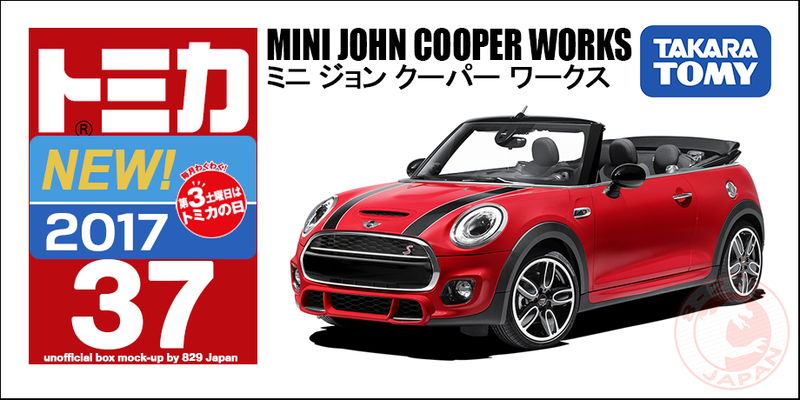 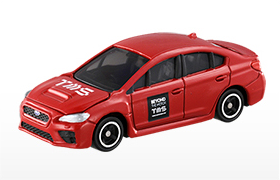 There will also be two Dream Tomica models. 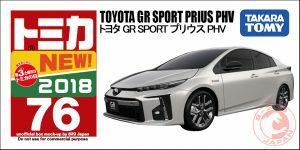 The Tokyo Motor Show 2017 will be open from October 27th to November 5th. 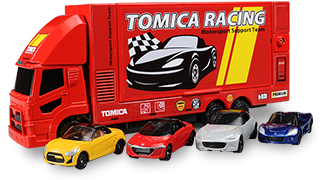 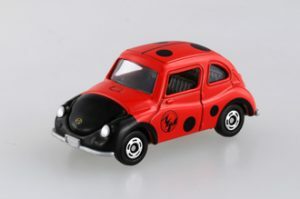 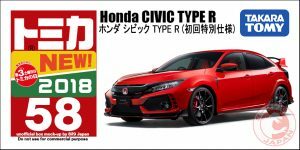 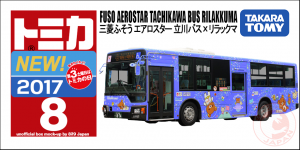 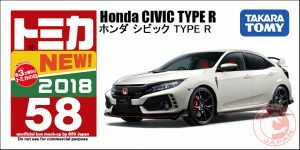 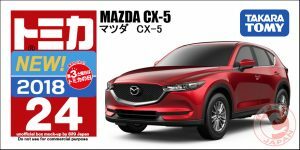 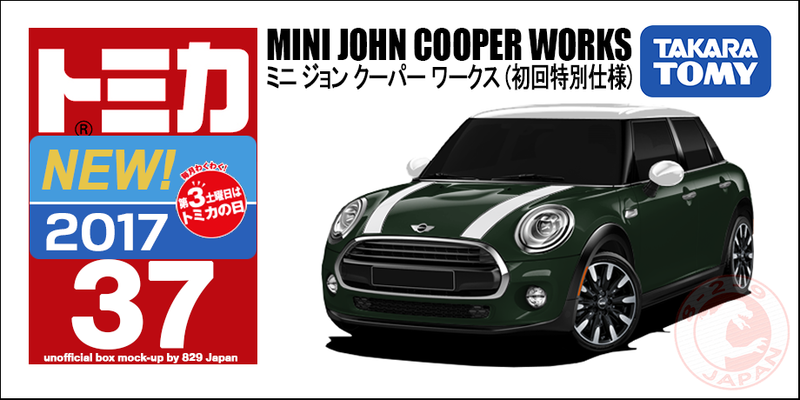 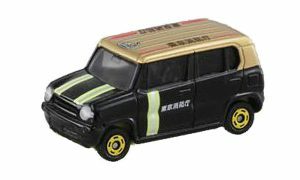 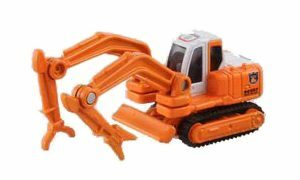 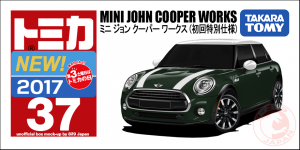 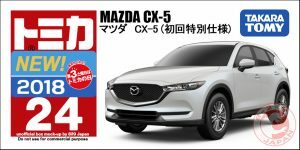 Tomica annouced a new line in collaboration with Marvel coming this summer. 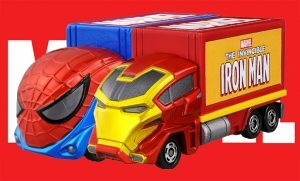 The Tomica Marvel T.U.N.E. 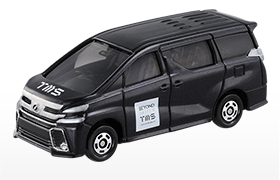 is officialy launching today at the Marvel Age of Heroes exhibition in Tokyo with the release of the first model Evo 0.0. 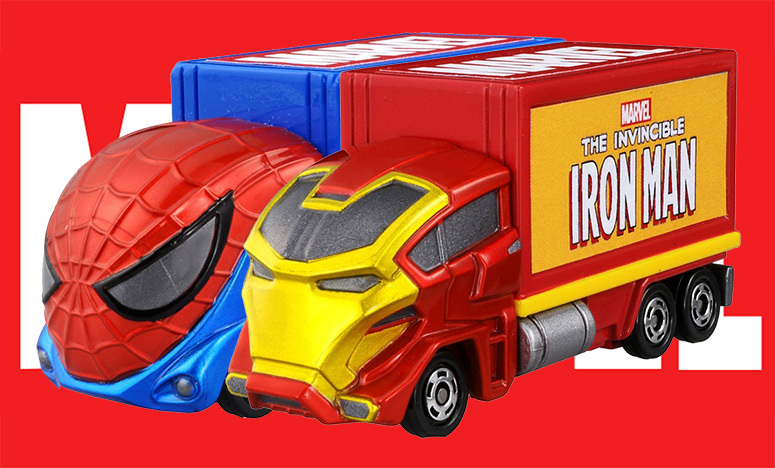 Just like the Disney Motors and Star Cars lines, the Marvel T.U.N.E. 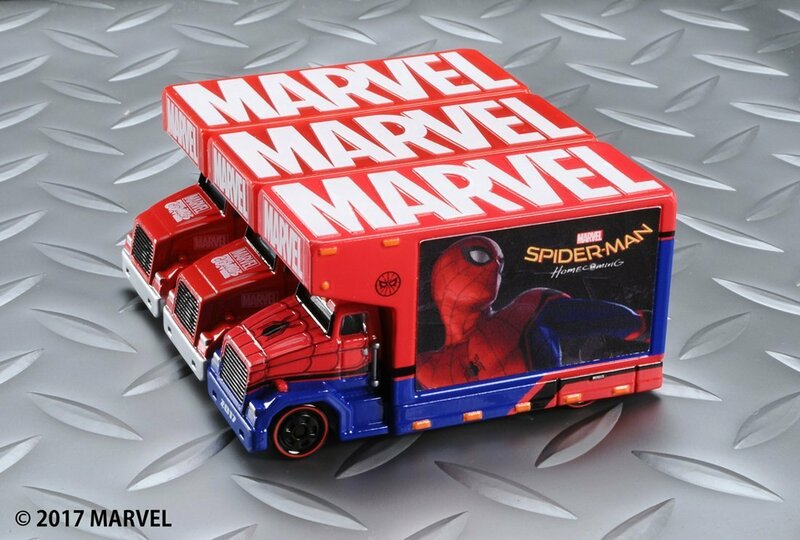 collection will feature original models inspired by Marvel’s characters, ad-trucks and character’s trucks. 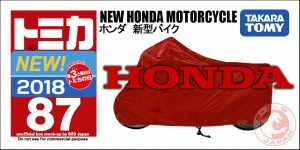 The first release will be available in July. 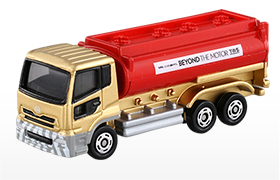 The trucks are designed to be displayed side by side, like a comic book collection. 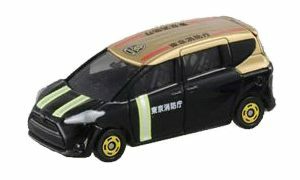 You can preorder the first wave on the 829 Japan Shop.